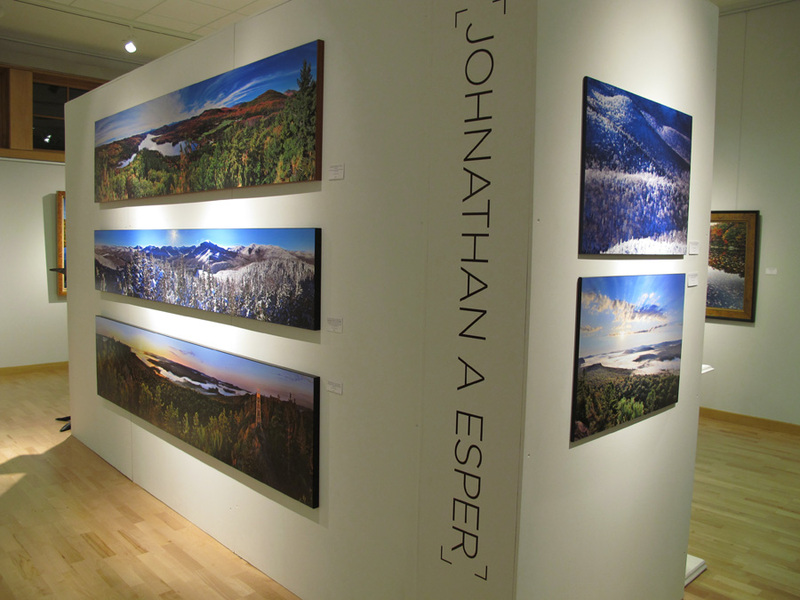 "Adirondack Viewfinders" Exhibition, at View Arts Center, Old Forge, December 2011. This is an exhibition featuring my work alongside all the other 'greats' of Adirondack regional photography, including Nathan Farb, Carl Heilmann II, Mark Bowie, John Radigan, Nancy Battaglia, and several others, all together in a single exhibition. Photo © copyright by Johnathan Ampersand Esper.